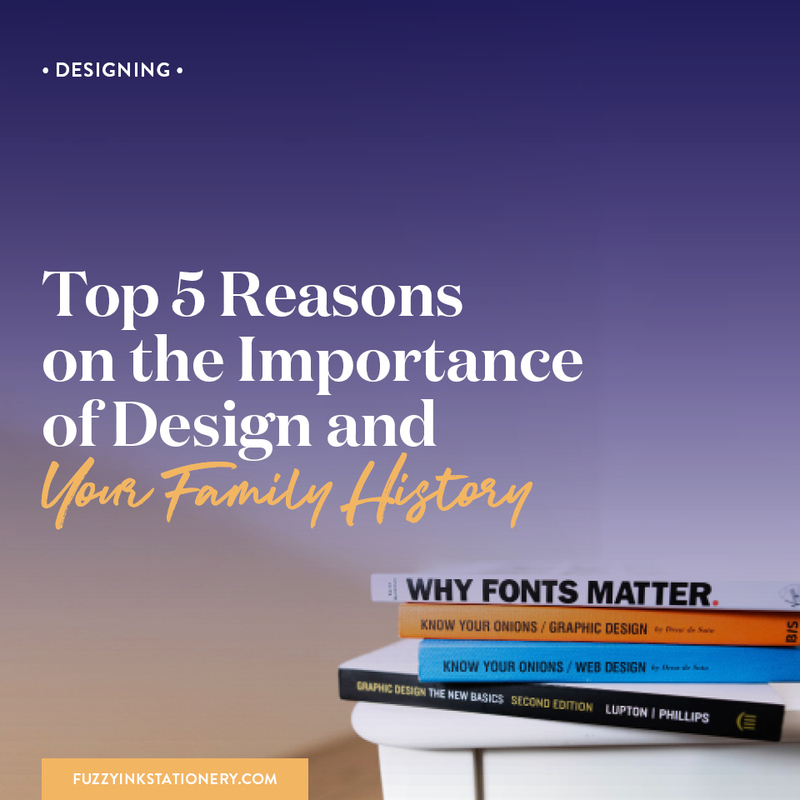 Publishing a family history is a marathon, not a sprint. A marathon with side events that you aren’t even aware of until you are in the middle of them. And you thought it was JUST going to be about telling your ancestors’ stories! While that will be the subject, turning the stories into a book includes a few other hurdles along the way. You’ll start with research and end with a book in your hands. But you ‘ll have to tackle writing, editing, proofreading, design and production to get to your goal. It’s a lot of things. Things that you might be unfamiliar with or where you have little to no experience. It’s overwhelming which makes it tempting to skip steps or assume they aren’t important, like the design. Would you believe me if I told you that design is as important as the content? It’s because designing is about so much more than how something looks. What comes to mind when you think of book design? Is it the cover? The fonts? The way the pages look? It is all of those things and so much more. 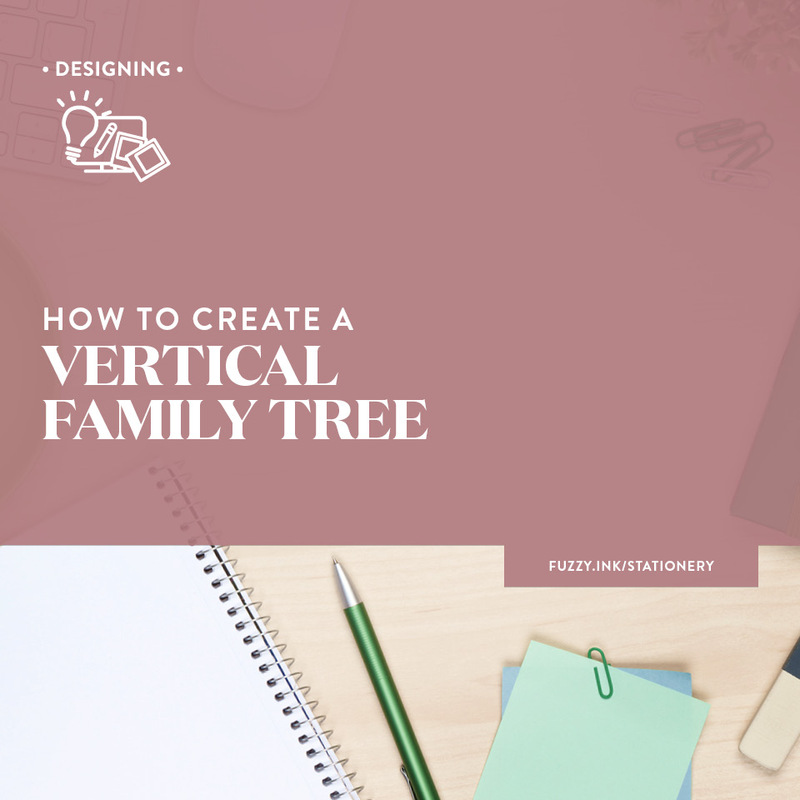 The design is not just making your content consistent and enticing, but intentionally crafting each part to work together. 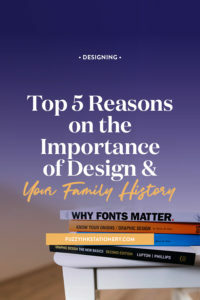 Good design takes a supporting role in your family history book. Most of the time you won’t even notice it. It will subtly enhance the reader experience as they consume the stories you worked so hard to craft. Let me demonstrate visually how this can work. 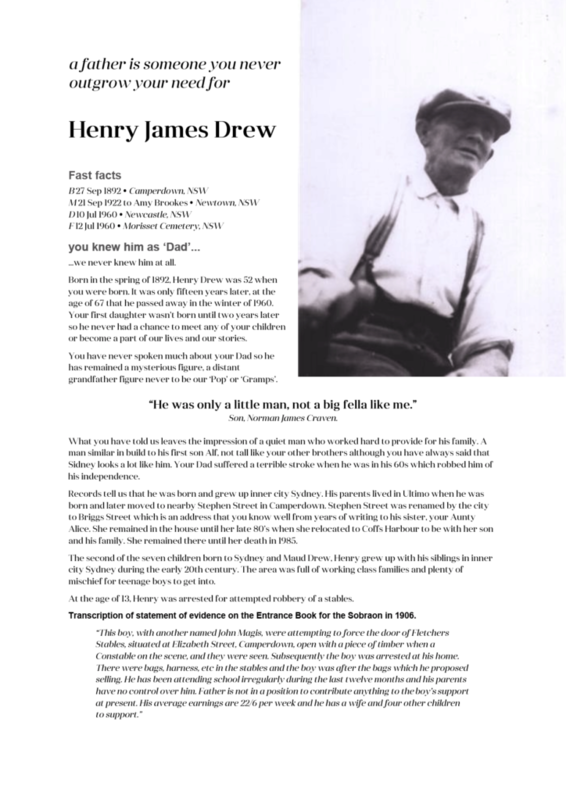 Below is a story about my Grandfather that I formatted in a Word document. I created all examples using Microsoft Word to demonstrate that it’s not the tool but how you use it. Visually, the story is not terrible. It isn’t eye-catching per se, but it does quickly communicate what the story is about and some other critical information. That long paragraph is a little intimidating but there’s only one, so it will probably be okay. What if it wasn’t just one? What if there were pages of long paragraphs just like the first? Now that’s a wall of text! No matter how riveting the content, you risk losing your audience because the sea of text is imposing. There aren't any waypoints to guide your reader through the document or quickly communicate what is in each paragraph. 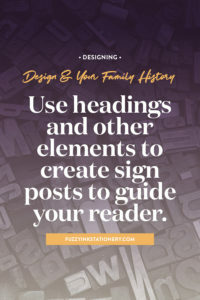 Use headings to create signposts for your reader. 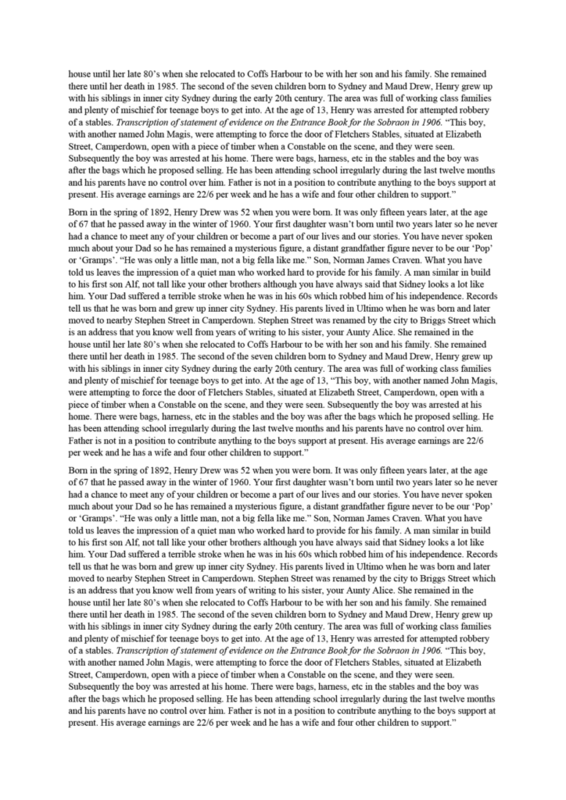 Changing the font size and weight can be eye-catching and help the reader see the critical information first. An easy way to help your document be memorable is to add pictures. These are a quick way to grab attention and leave your reader wanting to know more. It doesn’t have only be photos of your ancestor either. Try infographics, graphs, maps and tables to communicate the critical information. Images will also have a more lasting impact than adding yet another paragraph (or two). 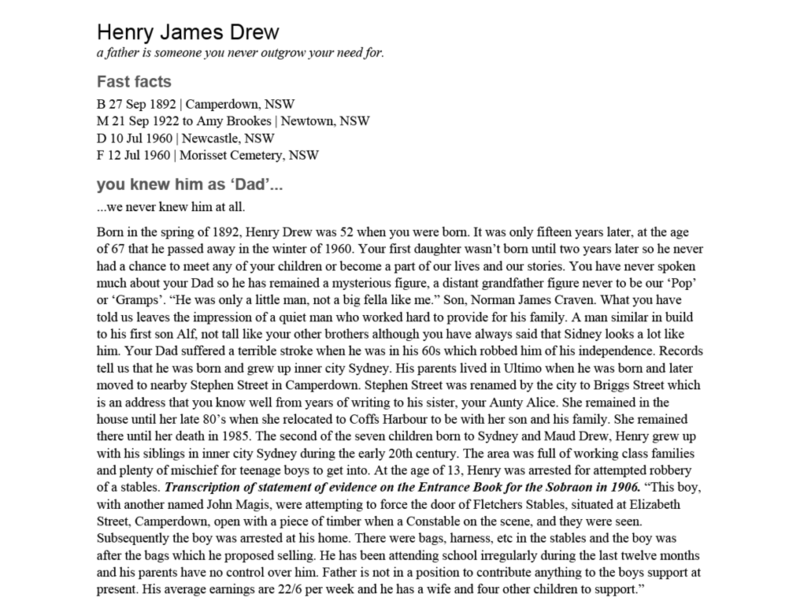 You can still quickly pick out what it is – a story about Henry James Drew. The larger font size adds emphasis to the text to communicate that it’s essential. You get a snapshot of some important dates and then hit a block of text. It’s not hard on the eye until you try to read to it., then it’s overwhelming. 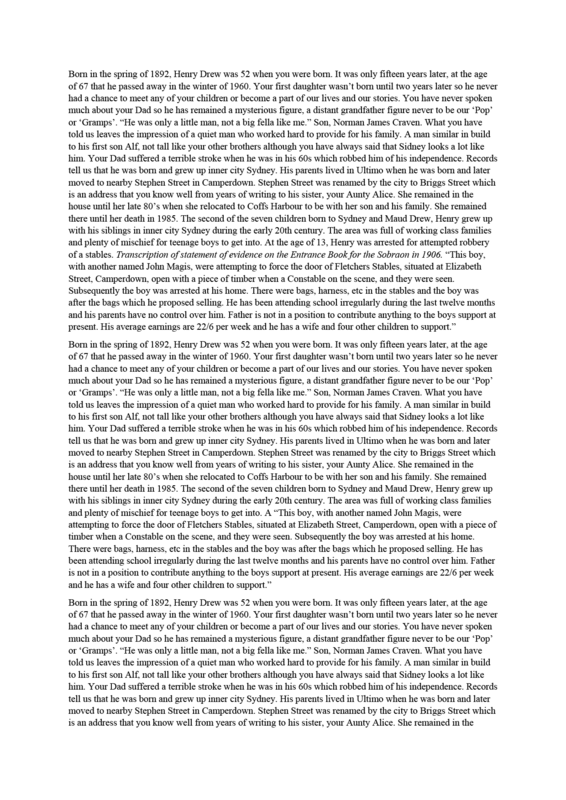 The paragraph is too big, so everything looks squished together, and you can’t quickly skim the story. You need to let that copy breathe! You might be scratching your head about now, wondering what white space is. It’s the unused part of your page. So, that is an area where there isn’t any text or graphics. 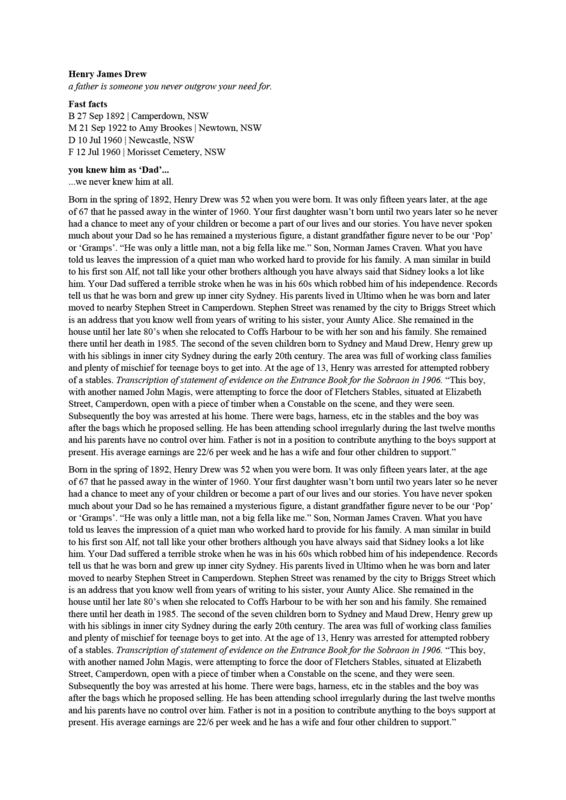 This space includes margins, gaps around images, between paragraphs and columns etc. It is a visual breathing room which helps your reader travel through the story. Your document is the roadmap, and the paragraphs are the blocks. Which would seem more natural to travel along? Short blocks with breaks along the way or long ones without a rest in sight? Let me show what it looks like when we put the rest stops in. As you make the document more visually appealing, you also make it easier to read. 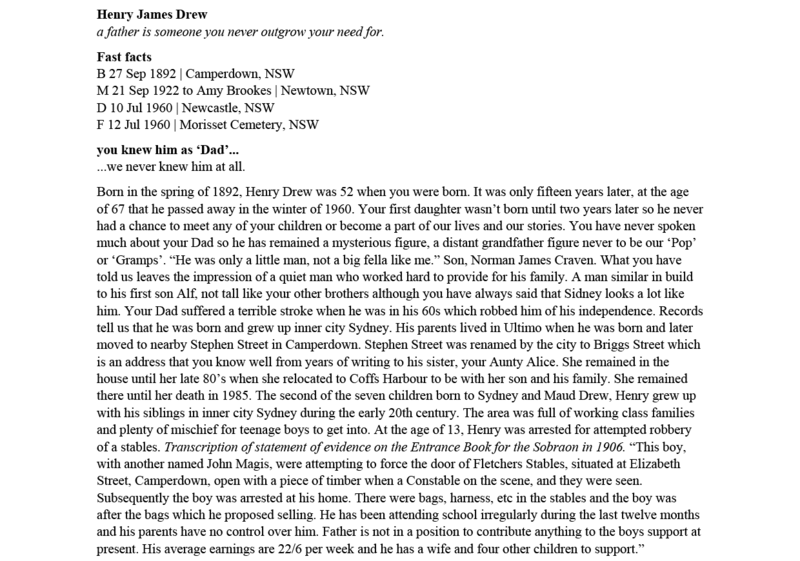 Formatting is the tool to emphasise critical facts and increase audience engagement. Design doesn’t have to be fancy to be effective. Good design is the experience that your audience has without even noticing. It’s about making intentional choices. From the selection of the fonts, you use to how you place photos as well as the spacing between paragraphs. Every decision should help draw the readers eye to where you want it to go. Transform the text to make it stand out with bold, italics, or an increase in size. 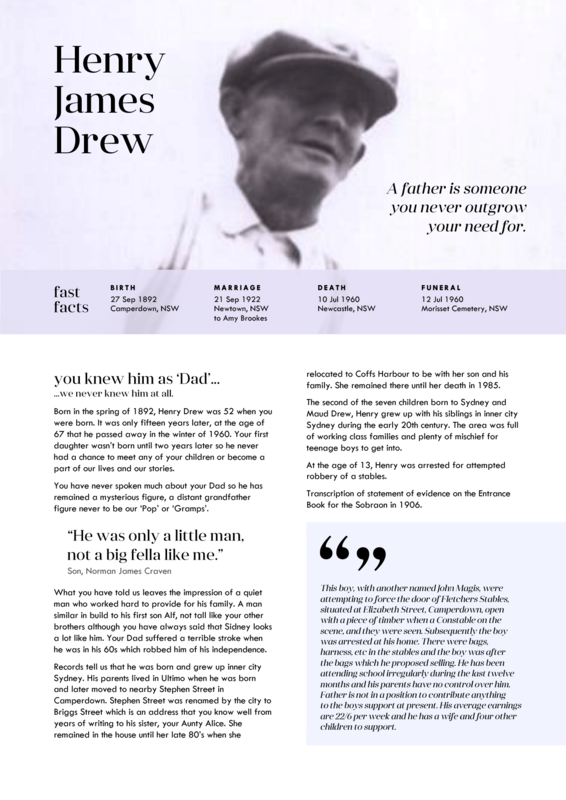 Finally use complimentary typefaces to emphasise headings, quotes or titles. 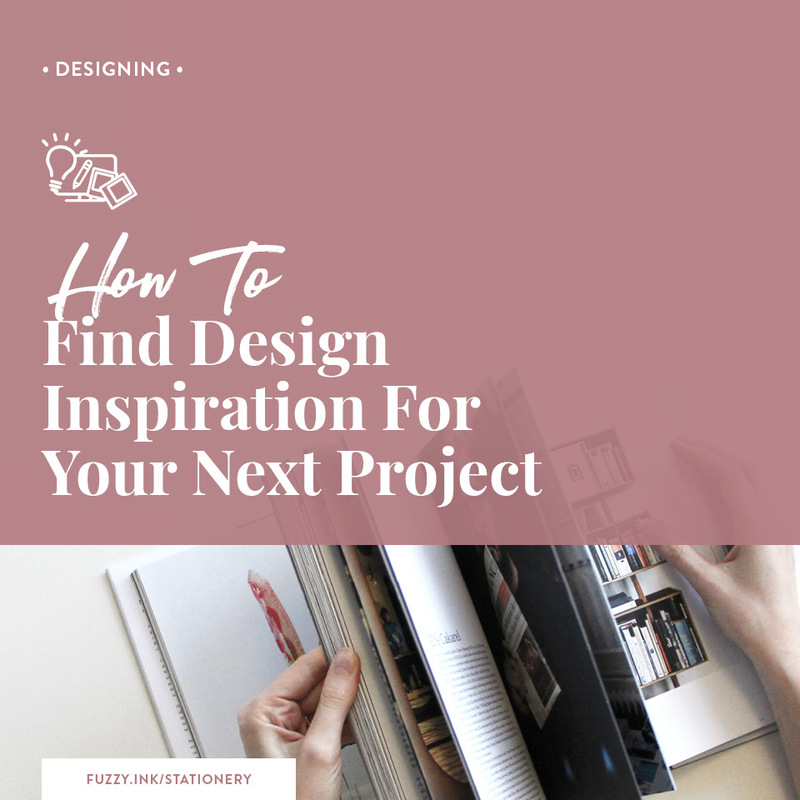 Let your design show off the content that you spent so many years researching and discovering. Design should be a subtle sidekick, not an overpowering companion. We’ve all heard of ‘don’t judge a book by its cover’ but how often have you done that? Or bought a bottle of wine because you liked the label? Or made any purchase just because of what something looks like or the packaging? Design creates a strong first impression and leaves a lasting emotion. Your responsibility is to give your audience reasons to care because you want to create a positive experience for them. In only five steps, we’ve transformed the text-only page into a simple design that will attract and engage. 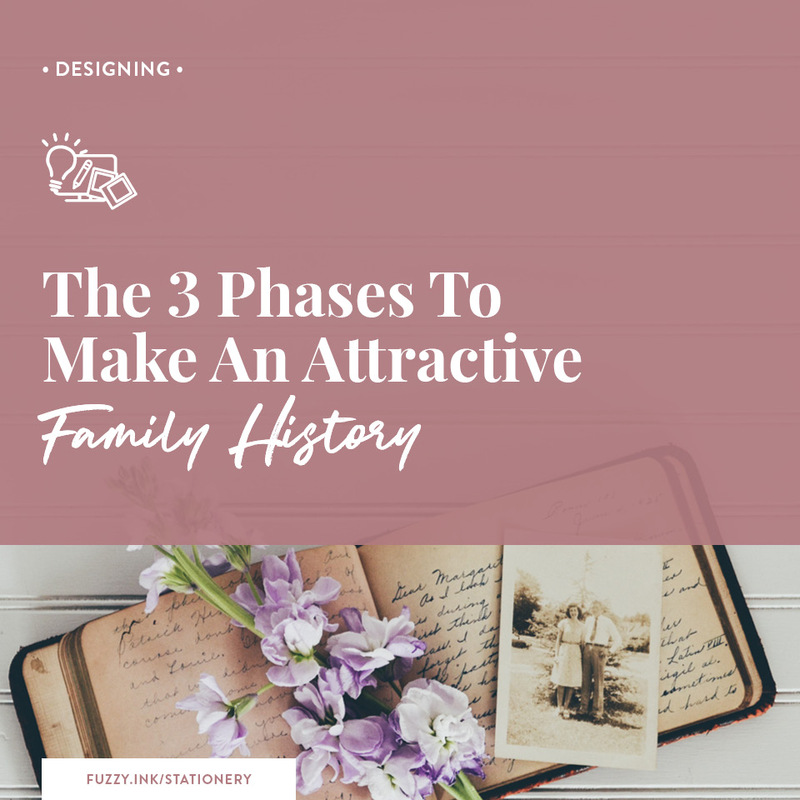 It can be hard to engage family members in learning about their ancestors so don’t sabotage yourself before you begin. 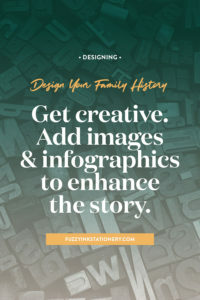 Experiment with the five design principles above to create the most engaging designs of your ancestor's stories. Use headings and other elements to create signposts to guide your reader through the story. Get creative and add images, infographics, graphs and tables to grab attention and enhance the content. Let your copy breathe with wide margins and lots of space between paragraphs. Keep it simple and don’t overcrowd your story with design elements. Subtle design and formatting are the way to attract and engage your reader. And the bonus is you don’t need expensive software make a difference to your document. As the examples demonstrate, a few simple tweaks change the overall aesthetic. What software do you use to create your shareable stories? Is there one tweak you can do to make them easier to read? WHAT ELSE CAN I HELP YOU WITH? 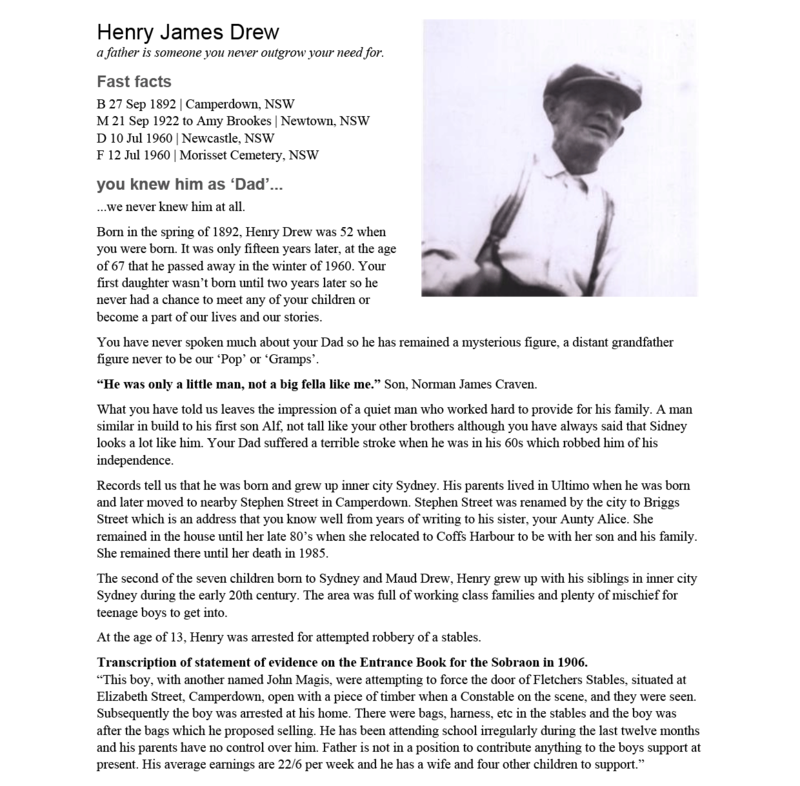 Worksheets, checklists, and tips to help you track down your ancestors and keep track of your research. 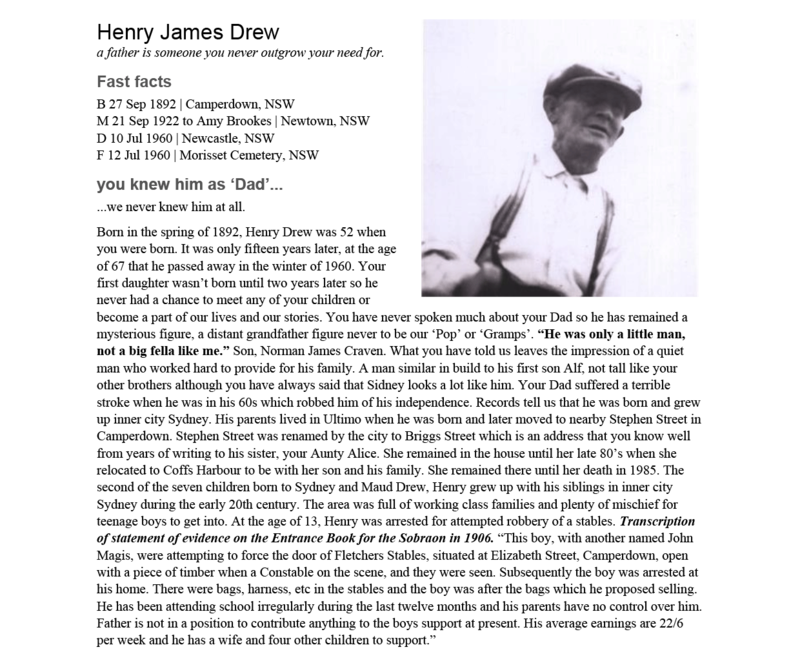 Ideas, inspiration, and tutorials to turn your research into shareable stories of your ancestors lives. Templates, tutorials and inspired ideas of collectible keepsakes to create as mementos or gifts.